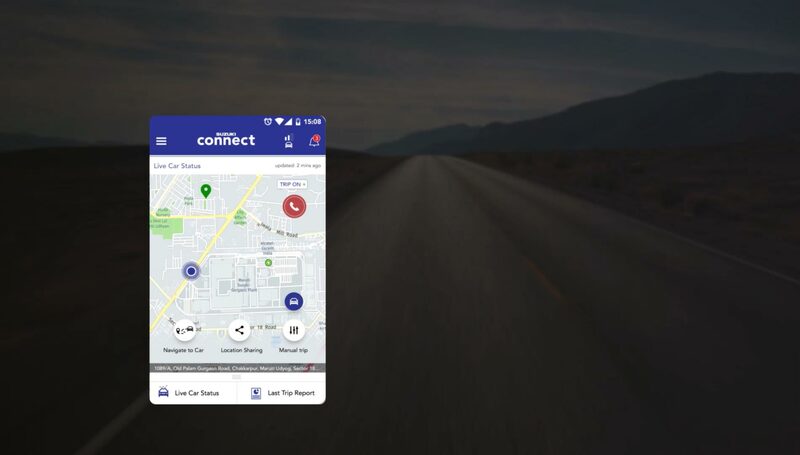 Suzuki Connect will ensure that you and your car become a part of a better connected world. Suzuki Connect allows you to keep track of your vehicle at all times offering you complete peace-of-mind. Suzuki Connect’s features keep your safety paramount. They ensure that in case of an emergency, whether you’re driving your car or are away from it, you’re always informed. Emergency Alert Service may be unavailable, not delivered or inaccurate due to a variety of factors including signal strength, network availability, technical reasons or inter-communication between servers. Get a more holistic picture of your driving style with Suzuki Connect. Its tools and functions help you analyse your driving habits such as braking and acceleration to make you drive better and even help you save fuel. To take convenience to a whole new level, Suzuki Connect offers you important information you need about your vehicle at your fingertips. Discover all you need to know about Suzuki Connect. Take convenience to the next level with Suzuki Connect. Get all the information about your vehicle right at your fingertips. Register Your Interest Fill the form below and we will get back to you soon. Who is the service provider for this system? Will customer get a choice of service provider? This system uses a renowned service provider, and no, customers will not be able to choose one on their own. Will the Suzuki Connect system be offered as standard fitment or as an accessory, then can it be installed on any variant of the specified model? It will be offered as an accessory and yes, it can be installed on all variants of specified models. Is the Suzuki Connect available on Google Play Store and Apple App Store? No, it will be part of the NEXA App. It will be installed as an update to the same. Does the GPS use Google Maps or is it some other map service? Maps use the 'HERE' technology. Is it a Plug and Play device? No, Plug and Play devices can be removed easily and hence are not as secure. Suzuki Connect is installed in the Engine Control Unit and is therefore, more secure. Can the software be corrupted? No, there is no direct access to the device software through external sources like a USB, SD Card, Wi-Fi, etc. Can customer details be compromised? Your data is absolutely safe and secure with our advanced security firewalls and safeguards. Family members and close friends of the primary user should be assigned as Emergency Contacts. 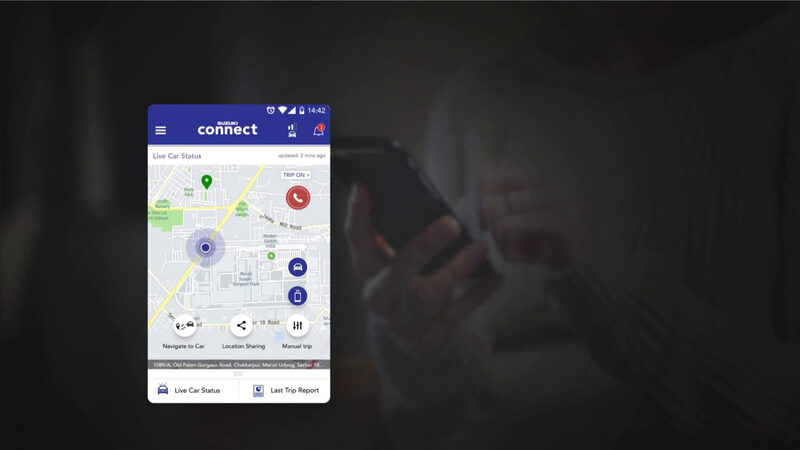 The user can add up to a maximum of five emergency contacts with whom the user is comfortable sharing their vehicle's whereabouts. How many Emergency Contacts can be added? You can add up to a maximum of 5 emergency contacts. Is this unit connected to the car battery? If the battery drains, how does the device work? The device needs to be connected to car battery at all times to function. In case of drainage, the device will resume functioning only after the battery is recharged. Is the device SIM dependent, Phone dependent or User Login dependent? This device comes with a smartphone App for the user. The App can be installed using login credentials. Hence, it is not SIM/Network dependent or Phone dependent. The device works similarly to a mobile phone that switches networks automatically. All the data is stored on MSIL servers. Can we export the information provided by the App outside the App? No, all data will be saved and accessed through the App only. What are the documents required for purchasing this device? This device is installed below the car dashboard. How long does it take to install the device? What is the activation time for the device? The device should be activated within an hour. Is the device associated with the VIN number and Chassis number? Yes, it is associated with the VIN number and Chassis number of your vehicle. Can the unit be installed on all cars or only NEXA cars? At present the unit is available for NEXA Cars. Subsequently it will be provided on our other cars. Is the unit covered under warranty? Yes, the device comes with a 3-year warranty. Does the unit require service and maintenance? No, it doesn’t require any service or maintenance. What is the price and time period for renewal? The price of the device is INR 9999. This price includes the cost of the device, 3-year subscription & applicable taxes. Is the device physically visible? No, this device comes with a Smartphone App for the customers. Can the device be switched off? Once installed, the device cannot be switched off. Do I need to pay separate charges for the App? No, it is a part of the NEXA App. The user can connect to our call centre for any assistance related to their vehicle or Suzuki Connect. Can Non-NEXA car user be made an Emergency Contact? Yes, anybody from your friends and family can be assigned as Emergency Contact. Is it covered under insurance? No, the device is not covered under insurance. Can the service provider be manually selected in regions where we don’t get 3G/4G connectivity? The device works on 2G spectrum and will work even when there is no 3G/4G connectivity. For the app to work on phone, it requires data connection irrespective of service provider. When will the Car Assistance Requested notification appear? This notification will appear in case of a Car Assistance Call from users end or in case of & preventive functional calls from our customer care. Where can you buy the product from? It will be available across all NEXA showrooms. What facility will I get? Suzuki Connect is a technology that integrates your car into your connected lifestyle. It provides you with near real-time information about your vehicle’s location, driving diagnostics and performance. Is this device free or chargeable? It will be an additional purchase. The price of the device is INR 9999. This price includes the cost of the device, 3-year subscription & applicable taxes. Does this device have any installation charges? No, the installation will be provided free of cost along with the purchase of the product. Suzuki Connect comes with a host of safety features from tracking your car to geo-fencing. The device also sends preventive functional alerts & emergency notifications. Further, you can also track the live status of your car diagnostics as well as its precise location. Will I get updates if someone else is driving the Car? Yes, you can track location, route, speed and other details of your car if someone else is driving the vehicle. Is it possible to experience Suzuki Connect before making the purchase? Yes, an authorised NEXA dealership can show you alive demo of Suzuki Connect. Please contact your nearest NEXA dealership. Is Suzuki Connect available for all the models of Maruti Suzuki? At present,Suzuki Connect is available for all NEXA cars (Ignis, Baleno, Ciaz & S-Cross). It will be available for other cars soon. Does Maruti Suzuki take any guarantee of my safety? Suzuki Connect endeavours to empower you with all the relevant information about your vehicle. While some alerts and calls are made by Maruti Suzuki, further action on the same will be a choice made by the user. Will my insurance premium reduce if I install Suzuki Connect device in my car? No, at present Suzuki Connect endeavours to empowers you with relevant information about your car. This information is provided proactively and thereby results in improved driving experience. Besides it provides complete peace of mind through live tracking of your car. When will the product be available in the market? Suzuki Connect is now available across all NEXA showrooms. What technology is Suzuki Connect using? GNSS and GSM based connectivity solution. There are already a lot of such devices available in the market then why should I spend money on Suzuki Connect? Suzuki Connect provides a host of advantages over any other solution available in the market. First, Suzuki Connect is an embedded device and therefore, it will be very difficult to remove/misuse the device. Second, our system provides live information through the ECU and thereby gives information about engine function (Low battery, Fuel alert, Oil leaks, etc.) unlike any other solution provided by third parties. In case of car assistance, what is the TAT for the Call Centre to call the customer or Emergency Contacts? Call Centre will call immediately once the event is registered. The technician should reach at the earliest. However, it varies from location to location & depends on distance & traffic. Does the device have an in-built memory? No, it does not have an in-built memory. Will the warranty of device increase if the car’s warranty is extended till 5 years? No, the warranty of device is independent of car’s warranty. Can the Primary User phone number be changed? Yes, the Primary User must visit a nearby dealership/workshop and submit the KYC and relevant documents. If a customer gets transferred to a different city, will the KYC have to be filled again? No, resubmission of KYC is not required. Will the customer be able to view the App in SmartPlay Infotainment System when connected via Android Auto or Apple CarPlay? No, the customer can view the App on his smartphone. Will the customer get an alert if there is a problem with SmartPlay Infotainment System? No, the customer won’t receive any alert. Can the device be financed with car finance? At present, all accessories can be financed through Maruti Finance. Suzuki Connect being an accessory can also be financed. Keep in mind that Suzuki Connect is a combination of product (hardware) & services (subscription). Therefore, only the product components can be financed. Will the system trigger the feature when vehicle is being serviced? Can the feature be turned off during service? No impact while the car is being serviced. Does the App always remain logged in? Yes, if it is not logged out manually. Can the user login from another mobile? Yes. Suzuki Connect has no dependency on phone brands. What happens if the car is stolen with the mobile still inside the car? The car can still be tracked by logging into another phone (with eligible OS versions) through correct login details. Will the Multi-Information Display (MID) and application data be same for various parameters? In case there is a difference, which one to rely on and why is there a difference? Parameters will be same in most of the instances. The difference in certain instances might be due to poor network reception, GPS inaccuracies, etc. There is already a NEXA App in my phone. How is the Suzuki Connect different? Suzuki connect can only be accessed through NEXA app/ Maruti care app. It cannot be accessed in isolation. Will I be refunded in case I want to terminate the Suzuki Connect subscription? No refund shall be provided in the event of termination of Suzuki Connect services. How would the customer submit his KYC details? What is the role of the Dealer/Relationship Manager? What if there is a delay in activation by the service provider? The customer has to submit the KYC details along with the required documents at the time of buying the device. It is the responsibility of the Dealer/Relationship Manager/Accessory Executive to ensure the completion of KYC. As per the process, once the sale is completed in DMS, an automatic trigger will go to the service provider for activation of the device. The device shall get activated within 30 minutes of sale. Can the same customer shift an installed device from one car to another car? It can’t be done. The device is paired to a car. It is not permitted to swap the device from one car to another car. Once installed, can the unit be removed afterwards? Yes, it can be removed as per user discretion. But it cannot be shifted from one car to another car. Can primary user phone number be changed? Yes, the New Primary User should visit the nearby dealership/workshop and complete the formalities. At the time of resale, can the new purchaser demand the data stored in the device pertaining to the previous owner? No, the previous owner’s data cannot be shared with the new owner. It is the responsibility of the previous owner to complete all the formalities pertaining to transfer of ownership before the sale of vehicle. How can the customer deactivate the device especially at the time of resale? The customer has to visit the nearby dealership/workshop & complete all the formalities in order to deactivate the device. What is the process of download and installation of Suzuki Connect? 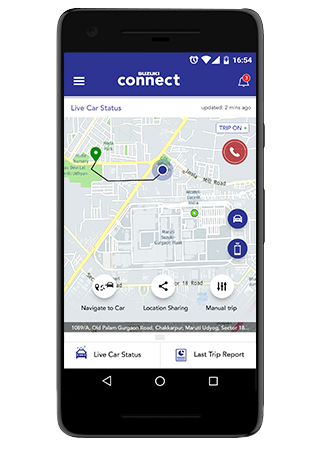 Suzuki Connect will be a part of NEXA App which is available on both, Google Play Store & Apple App Store. Does the App require data connection? Yes, you need a working data connection for the App to work and to provide you accurate information on near real-time basis. Does the App require any other App to be pre-installed for it to work? 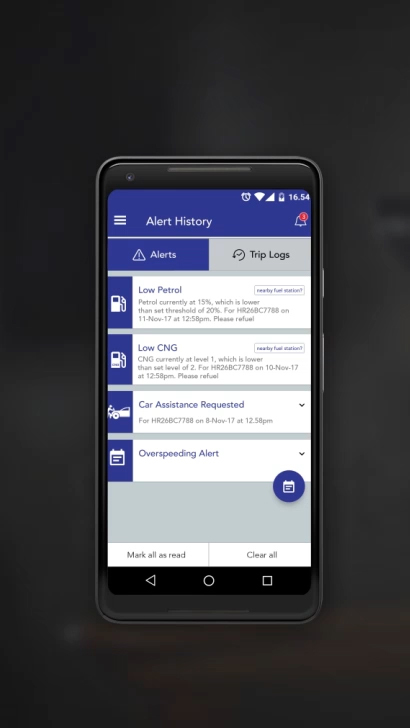 Suzuki Connect is a part of NEXA App. How is the App updated? User will receive an automatic update notification. It can be updated through the Google Play Store & the Apple App Store. Will a user get any notification in case there is any tampering with the device or any data compromise? If the device is disconnected from the car, user will get the 'Device Disconnected' alert. No, KYC will be available only at the dealership/workshop. Can the device be installed after the car is purchased? Yes, the device can be purchased at any time. If we deactivate the device, will the old data get deleted from the server? Old data cannot be accessed after deactivation of device. If we do not renew the device, will the data get deleted from the server? On which number will the customer receive the SMS? The customer will receive the SMS on their registered mobile no. Please share the process in case I transfer the car to a new owner. If the car is transferred to a new owner, it is the responsibility of the current owner to inform the new owner about the device. The new owner will then have to get the Suzuki Connect device transferred in his name by visiting any nearby dealership. At the time of transfer, the previous owner’s name, address and registered mobile no. will be replaced by the new owner’s details. The new owner of the vehicle will have to furnish the vehicle ownership proof (RC copy/Invoice Copy/Insurance copy) to the dealership. The dealership will also collect the completed KYC form from the new owner. What kind of software and network do I need in my phone to use the App? You will need any phone that has Android/iOS with compatible software version. You also need a working data connection in order to get information & alerts on your phone. If a customer owns two NEXA cars, can he purchase two units on the same mobile number? Can he access both the data sets at once and how? A user can register multiple units on the same mobile number. The user must keep adding the cars (registered on the same mobile no.) on the NEXA App. When the user clicks on the Suzuki Connect tab, the vehicle selection screen will appear. 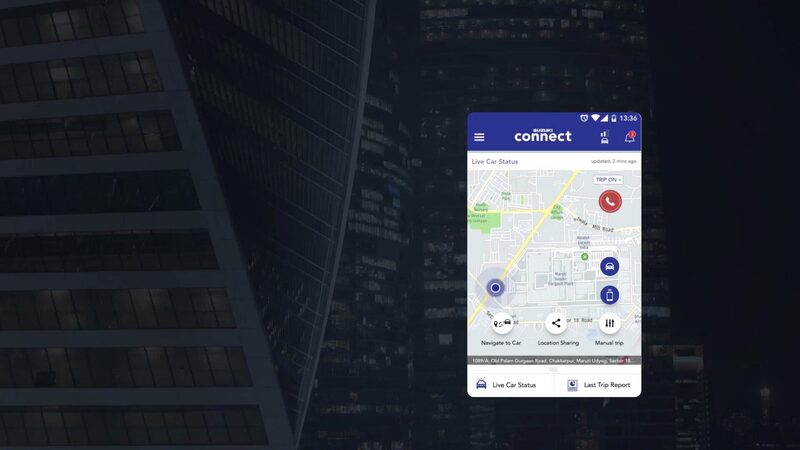 From there he can select the vehicle (in case of multiple vehicles with Suzuki Connect devices) to arrive at the landing page of the selected car. To access the data of another vehicle (in case of multiple vehicles), the user must exit the Suzuki Connect. Once back on the NEXA App, the user should now click the Suzuki Connect tab to access the 2nd vehicle’s data. Can I create a new profile on the same number? Yes, a user can register multiple units on the same number if they own more than one NEXA car. Is there an age restriction for Suzuki Connect policies? No, any legally eligible car buyer (of the age of 18 and above) can use Suzuki Connect. Will I be spied on by Maruti Suzuki? We respect your privacy and your data is absolutely safe and secure with our advanced firewalls and security systems. You can use this data for analysis of your driving habits and to keep a check on your vehicle. If I over speed, will the police be informed? No, all alerts are sent only to you and your emergency contacts. However, if police raises a warrant we might have to provide the data, if applicable, in accordance with the prevailing law. How would notifications and coordinates be shared with the user? Through the App, SMS & Email for the App user. Only SMS or Email for emergency contacts. Is there any option to manually place a call? Calling button on the dashboard of Suzuki Connect can be used for manually triggering car assistance. How can online application be used to make a car assistance call? Based on concurrence, it will activate MSIL On-Road Assist Team for Technician Support or Towing Support. In addition, customer can also request a call back from the call centre by filling a form through On-Road Service Tab of Service Module. Since the Instant Alerts are sent during odd hours, is the support also available 24 hours? Yes, the support is provided 24*7. How many Geo-Fences can be created? What is the max. distance of a Geo-Fence that can be set? A maximum of 5 geo-fences can be created at one point of time and the maximum distance is 50 kms. Does the Geo-Fence distance mention the radius or the diameter? What does the Driving Score signify? Driver Score is calculated out of 100. It shows how the driver has fared on various driving parameters such as acceleration, speed, braking, driving duration, etc. What is the logic of Tow-Away Alert? Towing shall be detected based on the tilt of the vehicle & change in vehicle coordinates while the car’s ignition is off. (However in case of flatbed tow away mechanism, since vehicle tilt is very limited, tow away alert might not trigger). If the car is stationary at a parking location with its engine switched off, how does the device work? The system sees this as TRIP OFF therefore, only the last saved location and the vehicle details will be available. If the car is at a location with limited or no network connectivity, will the device still track the car? Will the device also share information in this scenario? The device needs to be in a good network zone for it to function. Also, a working data connection in phone is required to fetch information on the phone. No, the device will not share any information when there is low/no connectivity. In multi-level parking, can the App direct the customer to the spot where the vehicle is parked? No. Currently, our map does not support parking level data. What is thetime duration for which the historical data can be accessed? Data that is 90-days old can be accessed. Please note to access data, a max.of 30 days can be chosen at one time. With how many users can your location be shared? Though, the URL can be shared with unlimited number of people through WhatsApp, Facebook, etc. but a maximum of 10 persons can access the URL at one point of time. In case of emergency, who all will receive the notifications and calls? How many emergency contacts can be added? Notifications through SMS/Email will be sent to the emergency contacts added by the App user. One can add maximum upto 5 emergency contacts. Can thenotification language be changed? No, it cannot be changed. The process of Trip counting include cases of Stalling, Accidental Turning off, Traffic Light Switch Off, etc. Are these already taken into account while considering a trip? These factors are already considered and will not lead to a new Trip. However, in case the ignition is turned off during long hauls, it will account for a new trip. What happens if the car is not driven/inactive for a month? When a car is not driven, the device can share the vehicle data for a few days (duration depends on the vehicle’s battery condition) in power-saving mode. Beyond this duration, the device will intelligently switch to a self-shut mode to avoid further discharge of vehicle’s battery. If the vehicle is serviced ahead of schedule, how Suzuki Connect will calculate the next service due date? For example, Service is due at 30,000 kms. but done at 29,000 kms. The Suzuki Connect connects with ECU to detect exact odometer reading. Further, the system is intelligent to capture last service done details of the vehicle to calculate next service due date.For example, if the customer comes for service at 29,000 kms. then Suzuki Connect will display the next service will be due at 39,000 kms. While using shared location through the App, the locationshared would determine the location of the mobile phone or of the car? The location of the car will be shared. How many trips can be saved in the App? There is no limit to the no. of trips but the data will be stored for 90 days. Please note to access data, a max. of 30 days can be chosen at one time. What is the accuracy of data? What is the calculated margin of error? Data is reasonably accurate. However, there might be error in certain instances due to poor network reception, GPS inaccuracies, etc. At what rate is the data refreshed? The data is updated in near real-time. What is Driving Behaviour feature? Driving Behaviour feature helps you analyse and better your driving performance based on various parameters such as acceleration, speed, braking, driving duration, etc. Can the car still be stolen? And how can the car be tracked in case it is stolen? Yes, the car can still be stolen. ButSuzuki Connect endeavours to empower you with all the relevant information via alerts and calls. However, further action on the same will be a choice thatyou make. A vehicle can only be tracked as long as it is connected with the device. The device needs to be in a good network zone for it to function. Can we align the speed limit of the car with the speed limit assigned in the Google Maps for various areas? In SHVS vehicle, how is the trip calculated under various scenarios? SHVS factors are already considered and it will not account for a new Trip. Will the Seat belt indicator function for all passengers or only for the driver? Can we compare the different trip reports? Yes. Although, user inference is required. Can the alert messages be customised? No, the notification messages are preset. What is the specified speed limit to trigger Overspeeding Alert? Can I set any threshold value? The specified speed limit range is 50-160 Km./hr. Yes, you can set a threshold value between this range. What should be the level of fuel for the Low Fuel Alert to be triggered? Low Fuel Alert values for Petrol/Diesel are user-configurable at 20%, 30% and 40%. The user will also get an alert when the low fuel indicator on the speedometer is switched 'ON'. How will the shared location be opened in the recipient’s phone? Can you input an address while sharing location? No, it will share your location on near real-time basis. Can we zoom in & zoom out on the map? Yes, the user can zoom in & zoom out on the map. Can we drop a pin on the map and share our location? Yes, the user can drop a pin on the map and share their location. Can we edit the shared location before and after sharing? No. It can only be cancelled. Does the navigation show traffic intensity? No, it doesn’t show the traffic intensity. Can trip reports be shared? No, the trip reports are only for the user to review and analyse. What does a trajectory under Trip Summary feature show and its usage? Trajectory is mapped to help the driver analyse his driving performance for a particular trip. Will the driver ratings be same if he/she drives 2 different cars with Suzuki Connect installed? No. It will depend on their driving habits & other external factors like road conditions, etc. Do we receive pop-up notifications for alerts on the smartphone? Yes, if the alert setting is enabled. In how much time the technician support will be activated in case car assistance is required? The technician should reach within 35 mins. from the call logged time. However, it varies from location to location & depends on distance & traffic. Can we navigate to the nearest service or fuel station using the App? Yes. User will be navigated to the nearby fuel station only when the Low Fuel alert is triggered. Will I continue to receive notifications, if I logout of the NEXA App? No. You will only receive SMS & Email notifications. How is the car’s location shared - Link of App, Link of Google Maps, URL of Location? Please specify. The URL of car’s location is shared. Does the person need to have NEXA App installed for accessing the location link? No, to access the location one can open the location link in Google Maps. Is Airbag activation necessary to activate emergency notification? Can the customer come to know who has opened/seen the link? Can I Geo-Fence any location? Yes, the user can Geo-Fence any location but only up to a maximum 5 Geo-Fence locations. What does the Play button do in the Trip Summary section? Play button is to plot trajectory of last completed trip. Will the On-road Support Service become free if Suzuki Connect device is installed in my car. No, there will be no change in the terms & conditions of On-road Support Service. Will this device be able to tell me if there is any problem in my car? Yes, the Suzuki Connect call centre team will proactively call/notify the customer in case any issue affecting the car is detected by the ECU. This preventive call will help you to take timely action to minimise the damage. What all parameters are considered for generating driving style report? Typical parameters like acceleration, speed, braking pattern, driving duration, etc. are taken into account while calculating the driving score and determining the driving style. In the Trip Summary section, are the parameters applied for a Single Trip or Consolidated Trips? The parameters are applied in both the cases. What is the maximum no. of trips that can be consolidated? A user can consolidate a maximum of 10 consecutive trips at a given time. What all reasons are stated for fuel economy? Fuel efficiency is calculated based on the distance driven and the fuel consumed. It is similar to Fuel Efficiency Logic for Multi-Information Display (MID). How will the notifications be received? Through call & alerts (SMS/Email), both. What all information will be shared with emergency contacts? Emergency contacts will receive the vehicle details & GPS coordinates which will help them to track the car. During a major accident/crash (if airbags are deployed), notifications (with vehicle coordinates) will be shared with the emergency contacts. This will help them track the car and take necessary action. What is Car Assistance Call? Customer can contact the call centre for help from our On-road Assist Team for Technician or Towing Support. What is Preventive Functional Call? Our team will proactively call/notify the customer in case any issue affecting the car is detected by the ECU. Based on customer concurrence, our On-road Assist Team will contact them for Technician Support/Towing Support or request them to visit a nearby Authorised Service Centre. What is Live Vehicle Tracking? This function lets you keep a track of your car’s location on a near real-time basis. Now, your loved ones can track or follow your car’s precise movement for a specified trip or time when you share your car’s location with them.This also allows them to follow your car’s precise movement all the way to your destination at the touch of a button. What does the trajectory on the map indicate? The trajectory on the map indicates the route taken by your car from the point you started your trip. What information does the ‘LiveCar Status’ tab indicate? If the trip is switched ON, the following information will be displayed - A/C Switch ON Indication, Fuel Level (Petrol/Diesel/CNG) Average Percentage, Odometer Reading,Seat Belt Driver Status. If the trip is switched OFF, the following information will be displayed - Ignition Status, Fuel Level (Petrol/Diesel/CNG) Average Percentage, Odometer Reading, Battery Voltage (Battery Charging Status). What is Navigate to Car feature? This feature provides navigation assistance to you in case you want to walk to your car's precise location. Once you tap on the Navigate to Car icon, you shall be provided a navigation route to your vehicle. What is a Geo-Fence? How does it work? The feature allows you to create a virtual boundary around your preferred location & as soon as the car enters or exits this area, you will receive an alert. How can I create a circular Geo-Fence? Step 1: Tap on ‘Add Geo-Fence’ on the Geo-Fence landing screen to navigate to ‘Add Geo-Fence’ screen. Step 2: Enter Geo-Fence details: Geo-Fence Location in the address bar, Geo-Fence Name , Select Circular Geo-Fence Shape, Select Geo-Fence Radius from the sliding bar. Step 3: Click on ‘Submit’ button to save the changes. It is a review of your recent trips for you to analyse your driving performance in greater detail. Where will the consolidated trip report be saved? The consolidated trip report will be saved in 'My Reports' section. What is the function of ‘Manual Trip Start/End’ feature? 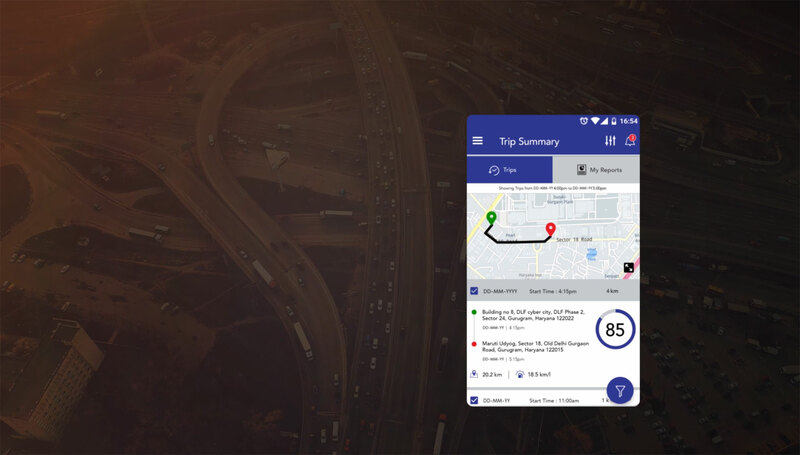 The ‘Manual Trip Start/End’ feature allows you to manually start or end a trip in case you want to view Driving Report for a trip that you are yet to take. What is a Service Due Reminder? Service Due Reminders are accurate reminders for you to get your car serviced based on actual odometer reading. What is the function of ‘Manage Alerts’? ‘Manage Alerts’ is an alert setting mechanism that allows you to Enable/Disable the alerts basis your preference. In case you enable an alert, you shall be able to select the alert mediums (App/SMS/Email) via which you would want to receive alert notifications. 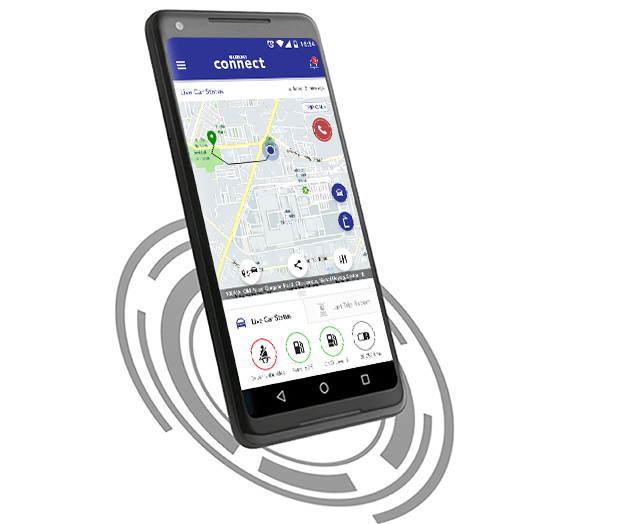 Suzuki Connect is just a touch away with the NEXA App. Available at all NEXA showrooms across the country, the system once fitted in your car, can connect you to your world through an iOS or Android device. Go ahead, stay better informed and empower your driving experience.